If I’m not the parent going to work every day, why should I worry about having life insurance? Also, how much life insurance is enough? These are two important questions to ask yourself when thinking about life insurance. Here are a few tips to help you with your decision making. Stay-at-home parents wear many hats. They fill the role of mom or dad but also au pair, nanny, chef, housekeeper, chauffeur, and so many more, 365 days a year. All that work comes with a price tag. Stay-at-home-parents work can be equivalent to a salary of over $150,000 annually in the Tri-State region. If this parent was no longer able to take care of the children, the surviving parent would incur all of the new expenses associated with replacing their roles. Further, they may have to limit their own commitments and time at work to manage the responsibilities of a single parent. Life insurance can help shoulder these expenses. Many stay-at-home parents return to work once their kids grow older. Life insurance is a good way to help with the lost future income of that parent if something were to happen to them. Life insurance can help settle any debts left behind so they don’t create stress for grieving loved ones. You may still be liable for student loans, credit card, mortgage, and car payments. Life insurance moves the financial risk away from the surviving spouse and to the insurance company. 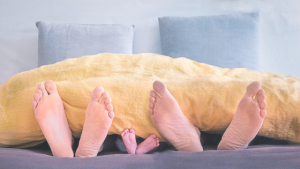 While you are still building your financial foundation, life insurance may be one option to build your savings in order to afford to spend more time with your children and even pay for college. Which insurance policy you purchase is based on personal preference, but each type of policy has different benefits. Permanent Life Insurance offers lifelong protection and can build cash value over the life of the policy, accessible later in life. This can be used for any purpose you like, from a down payment on a home to paying for college. Your health can change in an instant. Obtaining a permanent or convertible term policy when you’re young and healthy means you’ll have the ability to secure lifelong coverage. You never know what your future holds, a person can be healthy one day and diagnosed with cancer the next. Insurance should be purchased when you don’t think you need it, as it may be unavailable once it’s too late. Losing a parent or spouse creates enough emotional duress to have to worry about unsettled debts, childcare costs, funeral bills, and other expenses. 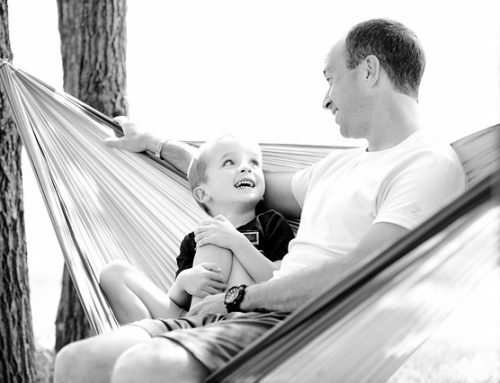 Life insurance can be a simple addition to your financial plan to create peace of mind. If you opt for a short term insurance policy, you don’t have to spend a lot to be at peace.